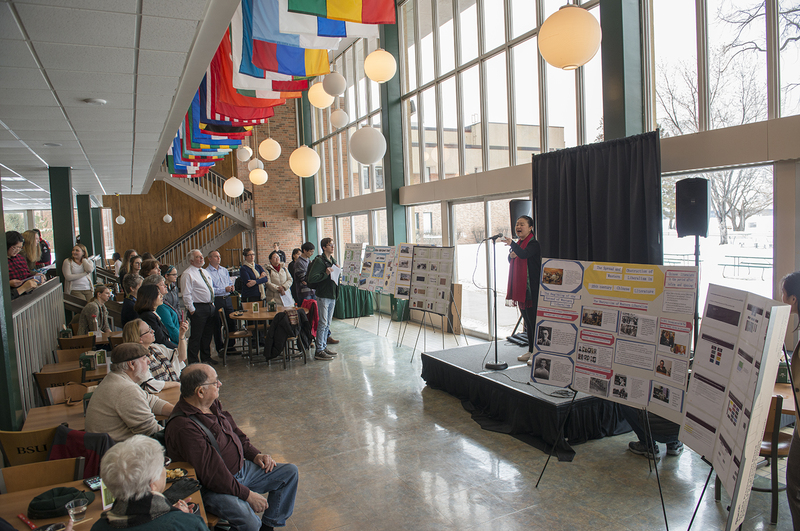 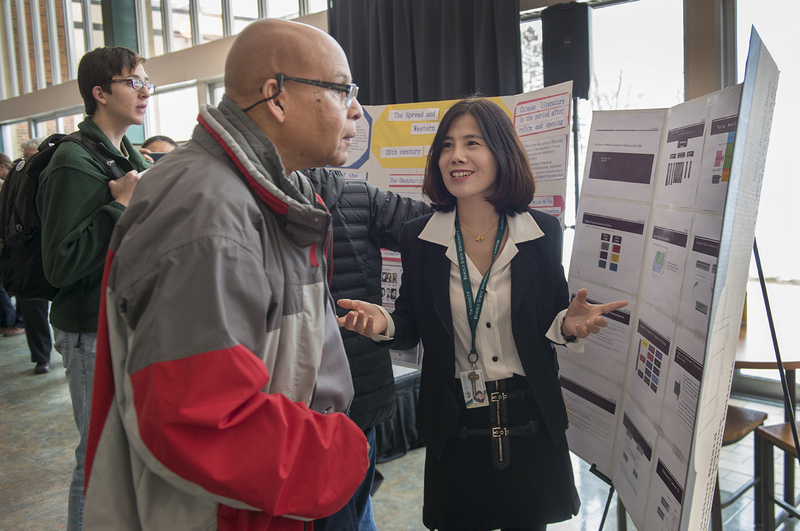 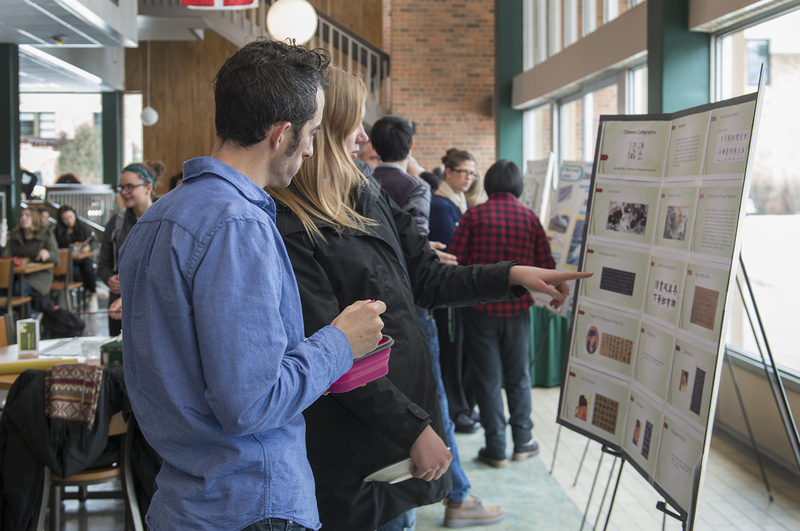 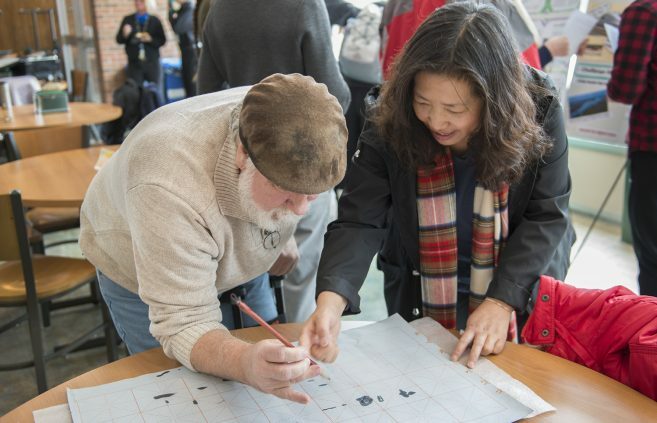 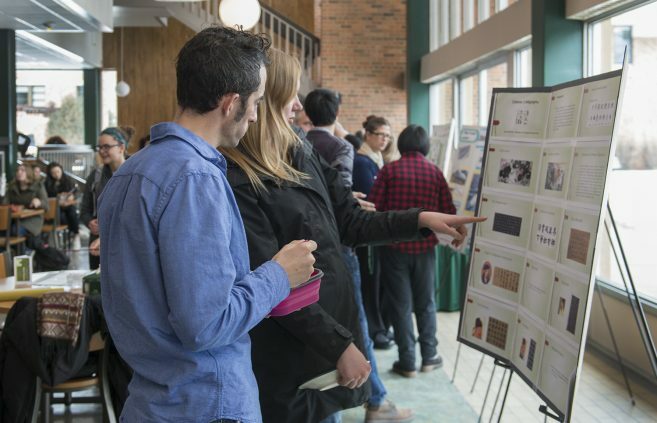 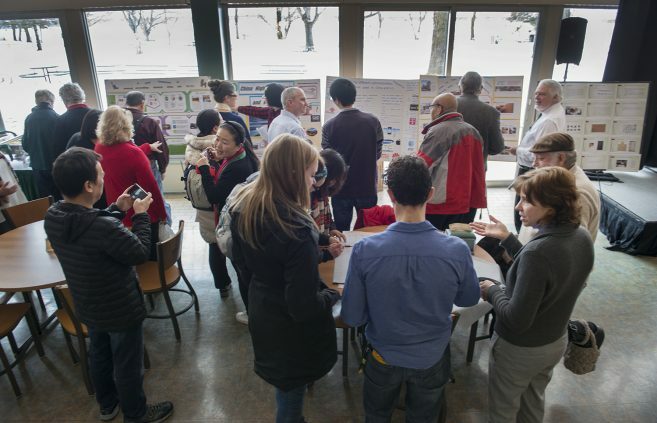 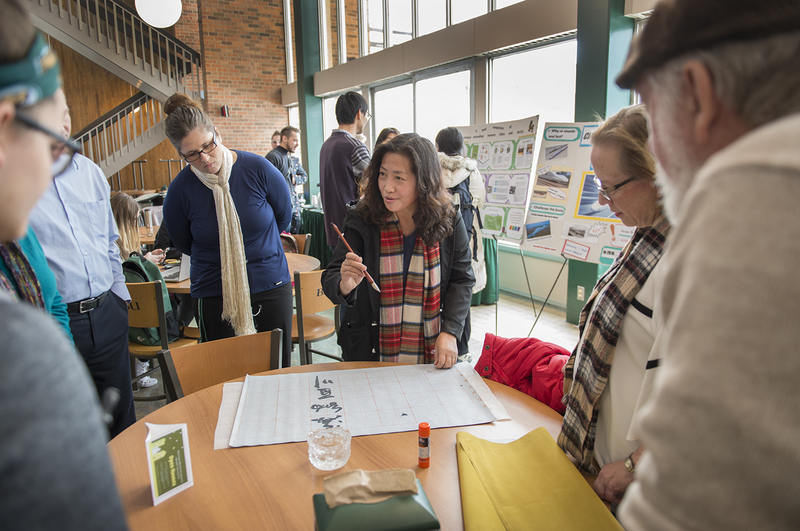 Eight Bemidji State University NorthStar visiting scholars presented their research comparing social and national constructs between the United States and China during a poster symposium on Dec. 3. 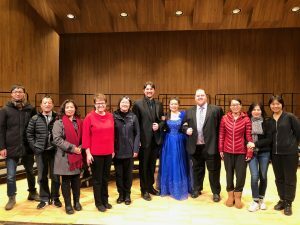 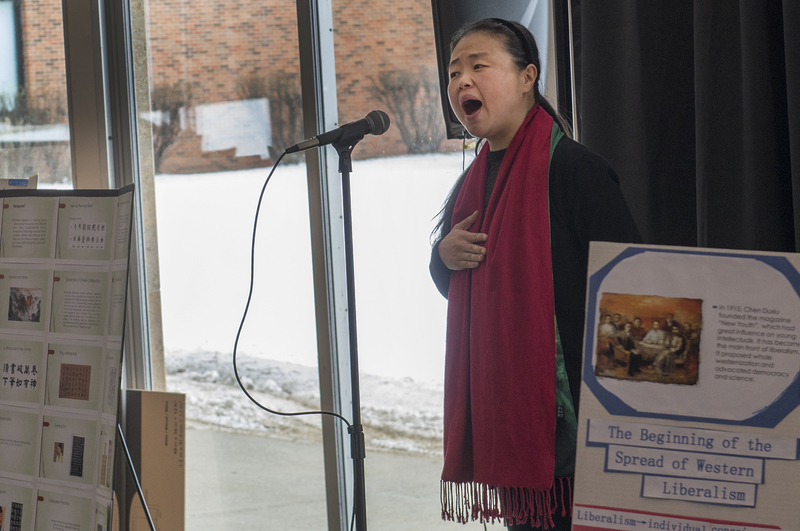 Ms. Qi Fan, a Chinese opera performer and visiting scholar in BSU’s Department of Music from Changzhi University in Shanxi, China kicked off the event by performing two Chinese folk songs providing a musical comparison of the two countries. The NorthStar visiting scholars at Split Rock State Park on the North Shore. 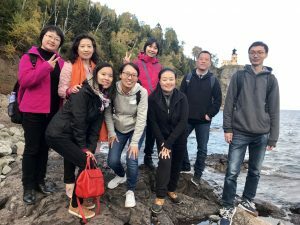 The NorthStar Visiting Scholar Academy at Bemidji State University promotes understanding and cooperation between American and international university scholars through a unique experience of mutual enrichment. 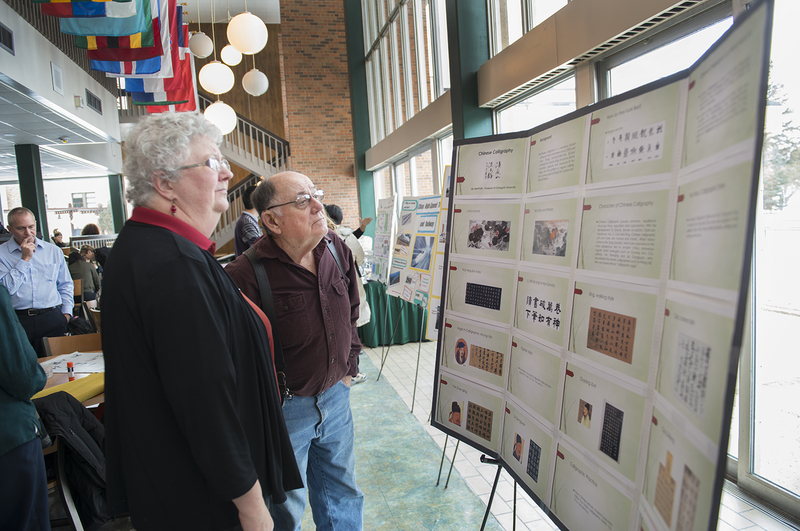 Participating scholars are faculty members from various international institutions who spend a semester or full academic year attending Bemidji State lectures, workshops and classes while learning about the United States educational system. 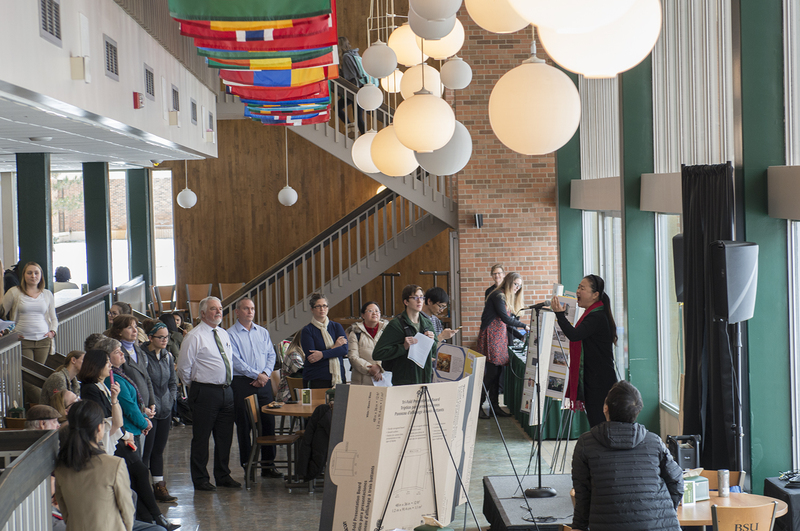 The scholars also have the opportunity to experience the local and national culture by visiting historical sites, parks, businesses, schools and other places of interest. 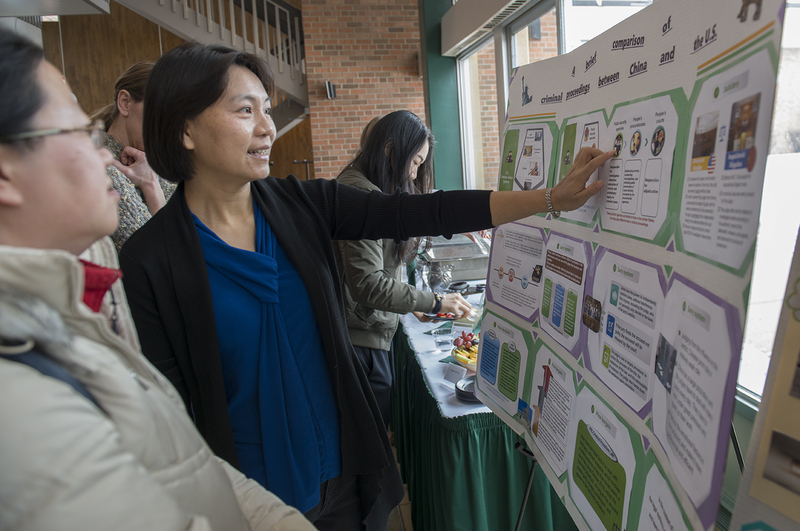 Each scholar has a Bemidji State University faculty-mentor who guides them through their immersion experience and assists on their research projects. The NorthStar visiting scholars with music faculty and President Hensrud after a choral performance on campus. 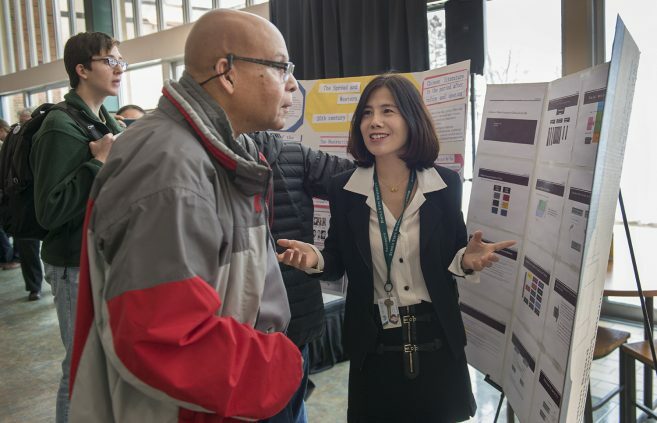 “A Glance at Medical Insurance in China and the U.S.” by Dr. Mei Liping. “A Brief Comparison of Criminal Proceedings Between China and the United States” by Ms. Ye Chengfang. “Comparison of the Ancient Chinese and Greek Philosophical Intelligence” by Ms. Liu Manyun. 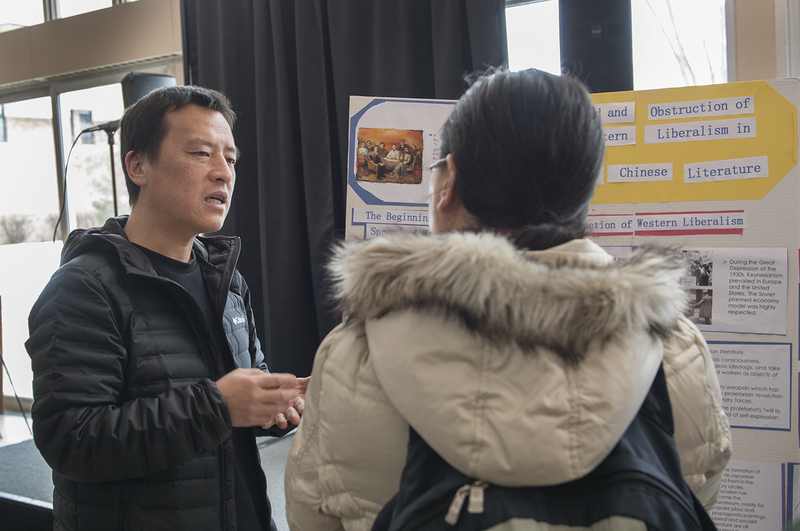 “The Spread and Obstruction of Western Liberalism in 20th Century Chinese Literature” by Dr. Li Gang. “How to Train Future Nurses to Perform Nursing Skills Competently and Confidently” by Ms. Chen Guiyuan. “The Different Communication Frequency Bands Used in China and the U.S.: Will Your Cell Phone Work on the 4G Network in China?” by Mr. Xuan Feng. 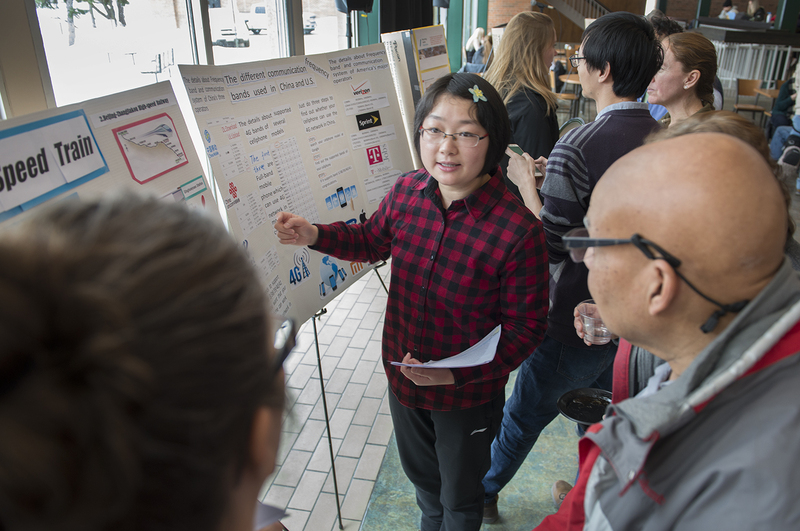 “Chinese High-Speed Train and Railway” by Ms. Ruan Shuaishuai.